Do in half an hour what would normally take weeks! Normally, making a website available in multiple languages is the last thing on the minds of a web developer. It costs time and money, is boring work, is error prone, and in the mind of a developer, it does not add any new features, or sexiness to the website. So, the developer drags his or her feet over this. Of course, marketing does not see things the same way. Large chunks of the market are excluded when a website talks just in English. And trying to get engineering to produce the other language versions is a struggle. Like they say, the best person to do something is the person who is most passionate about it. Which means that it would be great if the marketing department could translate the website without having to involve the developers. That is the promise of Dubzer, which launched at Demo Fall 09’s Alpha Pitch today, and become the latest Pune startup to hit the world stage (after onion.tv that debuted at TechCrunch50’s demopit) from Santosh Dawara and Anjali Gupta, who previously brought us Lipikaar (the software for typing in Indian languages, which my mom loves), and Bookeazy (the much loved, but now dead, movie ticket booking service). Dubzer will allow non-technical people to create translated versions of a website, or parts of a website, without requiring any significant changes to the backend of the website. It appears that this will be a hosted service, where you provide Dubzer with the URL of your website, they crawl it and then provide you with an online platform where you can start translating and publishing portions of your website (start with the most popular, or most important pages first). There are a whole bunch of features indicating that enterprise users are also being targeted – specifically, ability to translate intranets, fine-grained access control (i.e. who has permission to translate which portions of the site). Another interesting feature is that they allow you to implement different mechanisms of translation – i.e. free & paid translation methods, such as machine based (e.g. google translate), volunteer driven (e.g. what facebook is doing), crowd-sourced (as in wikipedia), or professional translation (sometimes, you get what you pay for). Unlike Bookeazy and Lipikaar, Dubzer is actually incubated by Persistent Systems, which means that the team sits in Persistent Systems’ premises (except Anjali who has left Pune, traitorously defected to Bangalore). Their board of advisors includes Anand Deshpande, Founder and MD of Persistent, Abhijit Athavale, President of Markonix, and creator of PuneChips, and Jugal Gupta, CEO of Databyte. One interesting point to note: Last year the Lipikaar founders ran into the problem of translating their website into all the various Indian languages (they are after all trying to sell software for writing in 18 different languages, so they better have their own website in those languages). When they did not find a decent solution, they decided to build it themselves and Dubzer was born. Similarly, Arun Prabhudesai was looking for a way to monetize his blog, trak.in with in-text ads, and did not find any appropriate solution. So, he decided to build it himself and hover.in was born. “India Business Blog”, trak.in, with 7000+ rss/email subscribers from all over the world, and many more visitors coming directly to the website, is easily one of the top blogs emanating from Pune. Just last week, trak.in celebrated its 1000th post. Arun Prabhudesai, the creator of trak.in, is also the CEO of Pune-based startup hover.in, and is very active in the tech/startup community in Pune. A: My first post was written in the last week of April 2007, however, officially Trak.in celebrates its anniversary on May 1st. There were couple of reasons why I started blogging. Firstly, I was in US since 2002 and wanted to come back to India and start something of my own. I also needed to keep abreast with the latest happenings, to understand the opportunities that were cropping up here. Thats when I started blogging to share my point of view on knowledge I had gathered. Q: What topics do you generally blog about? A: Trak.in started as a business blog that presented my point of views on latest buzz in India that was purely analytical in nature. However, over a period of time it has evolved to become much broader than that. Trak.in has lot of subscribers who are Indians living abroad and want to come back. I receive so many emails asking for help and information on how to get (business) started in India. So a lot of my posts are also informative reports that give them purview of current situation in India. Q: Do you ever get stuck when writing an entry? What do you do then? A: Ohh…that happens far too often with me. I dont know whether it can be called a writer’s block, but many times I am just not in the frame to write – and I don’t. The good thing is that trak.in has good community – when I am unable to write, I request one of our regular visitors or guest bloggers to write a post, and more often than not they are happy to do so. Q: What promotional techniques work best for you and why? A: I am sure you must have heard this often – Content, content and more quality content. That is the best way you can popularize your blog. Yes, you also need to take care of other things like SEO, but all that comes later. If you have quality content, traffic will come. Thats exactly what I try to do with trak.in – Write good content – I don’t use any other specific promotional techniques. Yes, In last 6-12 months Social Media applications like Twitter and Facebook have started sending in good amount of traffic as well – so presence in social Media space does help. A: It is extremely important to interact with your readers – that’s how you build a loyal readership. I don’t (or can’t) respond to all the comments, as there are far too many. But yes, any comment that is thoughtful and brings in a different perspective than what I have written gets my attention and I do make it a point to respond. Generally I respond to 3-4 comments on average daily. Q: How, in general, would you rate the quality of Indian blogs? Share your favourite five blogs. As of today, India does not have any blog that is followed internationally except Labnol. Indian Blog Ecosystem is still evolving. The idea that one can blog for living is still not there in India. When I started blogging, I used to follow lot of blogs, but in last year or so, the number has come down drastically. My feed reader has less 15 blogs in it. Q: What do you find to be the most gratifying aspect of blogging? A: They are the “Thank You” mails from people who tell me that the posts that I have published have helped them a lot. It makes all the effort worthwhile. Other aspect is the exposure that a bloggers get, especially if you are a popular. Q: Do you earn revenue through your blog? How does one go about it? A: Yes, I do earn revenue from my blog. Its simple, if you have good traffic, revenue will come. And for good traffic you need good content. Q: hover.in was born out of constant frustration that most bloggers and web publishers face regarding their content presentation and monetization. How does hover.in help the bloggers and publishers? A: Yes, that’s right. When I started getting traffic on trak.in, I wanted to have a monetization channel other than Google Adsense. One aspect about adsense is, it sometimes turns off visitors from your blog. hover.in, being an in-text customized content and Ad delivery platform, helps bloggers to add revenue to their blog by showing in-text content & ads, without taking any real estate on the blog. hover.in automatically hyper-links keywords chosen by the publisher and shows relevant content & Ads when visitor hovers over that keyword. Q: Not many know that you a photography enthusiast as well. There are many photo walks happening and you take an active part in most of them. India with its beauty all over, which are the best places and the best photos which you have captured. Can you share your experiences and a few photos with our readers? Q: Many Indian companies were not affected by recession and a few of them posted profits. How does a startup survive in such times and what goes into making a startup a success in the long run? A: You know for a startup it does not really make a difference unless you are out in the market looking for funding. Startup Entrepreneurs are by nature frugal (they don’t have an option), and that’s what keeps a company afloat during tough times – Conserve cash as much as possible, cut expenses wherever you can and offer equity to employees. Recession is actually a good time when a startup can get talented people on board. It would not be prudent for me to write on how to “make a startup a success in the long run“, because there are 100s of element that go in a startup success. Good Product, Investment, Market size & need, competition etc. etc. All these ingredients have to come together in right proportion for a startup to be successful. Having said that, for me the most important aspect for a startup success is PEOPLE. If you have right people with right knowledge & attitude, you have already won half the battle. Q: ‘India in 2020 – A Report’ was one of the posts that caught our eye. What’s your vision about India and which startups do you think will be a name to reckon in 2020? A: It will be very unfair for me to talk about certain startups only, but if I’ve to name a couple of startups that have some real potential are LearnNext, Tringme and off-course my own startup hover.in . All these startups have a differentiating product in their own domain area . Having said that it is difficult to give a long term perspective on any startup, as market conditions (aka need/requirements) are changing very fast. The startups that will continuously evaluate will be the ones who will have a great chance to be successful in future. One other Indian company (not a startup) that I think of is Zoho. That is the name to reckon with even now and 10 years down the line might be as well. Talking about Vision for India in 2020. The current and the most important thing for us now is the Internet (read Broadband) Penetration which is extremely low. We have 10 different posts at Trak.in talking about Internet Penetration. We are moving ahead albeit slowly. Government is trying to push ahead. TRAI has recently declared that 2 Mbps is the minimum speed to be called as broadband. This is where government needs to start. About Startups: Like I mentioned earlier, innovation will be the key. The Startups need to evolve themselves continuously with the changing market conditions. Q: Trak.in is one of the top business blogs in India. You were having a successful career in the East Coast. What made you think that you need to return in your homeland and start Hover apart from managing Trak? A: 2 reasons: There are abundant opportunities in India currently and my love specifically for Pune. I have been born and bought up here. I am a social person by nature and all my family & friends are here. I will always prefer my children growing up here in India and have the same values that I grew up with (although, things are changing, India is getting too westernized too fast). A: Don’t start a blog just because everyone else around you is starting. If you are unsure, start micro-blogging on twitter/Facebook etc instead. That is far more gratifying than blogging. 90% people tend to quite blogging in a month or two, primary reason being no traffic. If you want to start a blog, be patient, write consistently and passionately. Most importantly, dont compare yourselves with other bloggers and worse never try and copy what other bloggers are doing. That will not take you anywhere. Q: Let’s conclude off with a few favorites. Thanks a lot Arun for taking out time for this wonderful interview. Budding entrepeneurs and bloggers would have got a lot of insights from this wonderful interview. Do drop in your questions and feedback. We would love to have them. Comments on this entry are closed. Please leave your comments for Arun and/or BlogAdda at the original post. This is today, September 17th, from 2pm to 5pm at Dewang Mehta Auditorium, Bhageerath, Persistent Systems, S.B. Road. For further details of this event, including detailed profiles of the speakers, see the PuneTech calendar entry. Note: this is different from the POCC event on copyrights and patents that will be held on Saturday 19th September, 4pm, at SICSR. TechCrunch50 and Demo.com are easily the top startup conferences in the world and a chance to launch there is a huge opportunity that is available only to a handful of selected startups from all over the world. The bulk of these startups happen to be from the US/Europe, and it is rare for an Indian startup to feature in these conferences. So it is a great feeling to be able to say that there are two “pure Pune” startups there this year, onion.tv that’s been selected for the TechCrunch 50 demopit, and dubzer.com that will launch during DEMO.com’s AlphaPitch next week. Both of these events are very difficult to get into, and being there will be a huge boost to these startups in terms of visibility, contacts, networking, feedback. The content companies can integrate relevant information with audio / video and make their media more rich and useful. For example, educational companies can integrate a simple DVD-like table of contents with the videos, or even synchronize notes, code section and related material like Wikipedia pages with the video. This will help users enhance their learning experience. On the other hand, event companies can integrate tags, notes, comments to the event video and even synchronize a presentation with the video. This will help their users skim, filter, and search or even share parts of video with others, thereby making event videos much useful, as events typically cover wide range of topics and have diverse audience. Similarly, content companies in news, entertainment, and advertising can integrate their media with relevant content to enhance the experience of their users. Here’s a tour of the features they offer. extensive promotional support on site and after the event on demo.com. Unfortunately, they cannot tell us what they do until September 22nd (i.e. until after they’ve officially launched at DEMO), because that is one of the rules of launching at DEMO. Maybe we can have a fun contest guessing what they do (based on what we know about the founders – Santosh Dawara, Anjali Gupta and co., and their past activities.) Maybe it’s a software that allows easy dubbing of English movies into Hindi and easily creating subtitles for them in 18 languages (by people who don’t understand English). That will be fun! Update: Dubzer has launched. See this PuneTech article for details. Shashikant and Rohan had posted comments that came too close to the truth for comfort, so we held them back in the moderation queue for a few days until Dubzer officially launched. Registration and Fees: This event is free for all. Register here. SharePoint 2007 has proven to be a technology that is remarkably easy to get running out of the box. On the flipside, however, some of the advanced configuration options with SharePoint are notoriously difficult to setup and configure, and a great deal of confusion exists regarding SharePoint best practice design, deployment, disaster recovery, and maintenance. This session covers best practices encompassing the most commonly asked questions regarding SharePoint infrastructure and design, and includes a broad range of critical but often overlooked items to consider when architecting a SharePoint environment. In short, all of the specifics required to build the ‘perfect’ SharePoint farm are presented through discussion of real-world SharePoint designs of all sizes. Learn from previous real world deployments and avoid common mistakes. Plan a checklist for architecture of SharePoint environments of any size. Build the ‘perfect’ SharePoint farm for your organization. See the event homepage for more details. Open source software is getting very prominent in the last few years, and is increasingly seen as the future. To truly appreciate the power of this, we need to understand its background. How and where did this whole concept of open source evolve? What were closed systems like? It is a roller-coaster journey with plenty of amazing stories and anecdotes. Apart from this, what are the commercial, legal, and other angles of open source software? This session would cover all these aspects. Atul Kahate has over 14 years of experience in Information Technology in India and abroad in various capacities. He has done his Bachelor of Science degree in Statistics and his Master of Business Administration in Computer Systems. He has authored 23 highly acclaimed books on technology and cricket published by Tata McGraw-Hill, Pearson Education, and Rajhans Publications on various areas of Information Technology (including editions), titled Web Technologies – TCP/IP to Internet Application Architectures, Cryptography and Network Security, Fundamentals of Computers, Information Technology and Numerical Methods, Foundations of Information Technology, Operating Systems and Systems Programming, Operating Systems, Computer Communication Networks, Introduction to Database Management Systems, Object Oriented Analysis and Design, and Schaum’s Series Outlines – Programming in C++, XML and Related Technologies. Two of these are published as international editions worldwide by McGraw-Hill and also been translated into Chinese. He has also co-authored a book in Marathi titled IT t ch jayachay (I want to enter into IT). Several of his books are being used as course textbooks or sources of reference in a number of universities/colleges/IT companies all over the world. 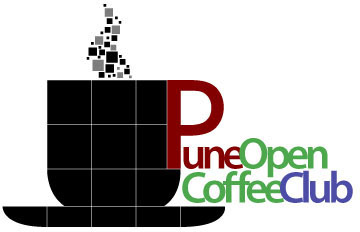 What: Pune OpenCoffee Club meeting on copyrights and patent issues that startups should be aware of. Many startup founders are unclear on the details of what exactly copyright law entails. I’ve seen a few Pune startups get into significant trouble due to their ignorance. And I’ve seen a lot of them inadvertently indulge in very risky behavior. Navin is a co-founder and CTO at BharatHealth.com, a startup focused on creating online software products in the healthcare industry. 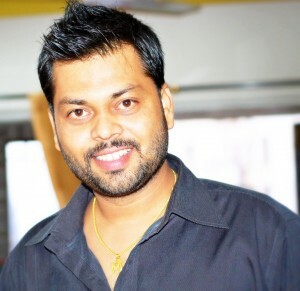 He is also the creator of PuneTech.com, a portal for the tech community in Pune, India. In the past he has worked for large companies, and small; he has seen a successful exit, and he has seen a dotcom failure; he has done product development, and he has done research; he has written consumer software, and he has written enterprise software; and he has been a developer, he has been an architect, and he has been a manager (but hated it). He has a PhD in Computer Sciences from the University of Wisconsin in 1999, and a B.Tech. in Computer Sciences from IIT-Bombay before that. In this talk audience will receive practical knowledge on patents. Basics of patents will be covered, followed by guidelines on pursuing effective patent strategy for startups and early stage ventures. Hemant has been in the computer and networking industry for more than a decade. His experience spans research, product design and engineering, intellectual property management, technical marketing, and standardization. He is currently Director of Technology at AirTight Networks. Hemant holds PhD in Electrical and Computer Engineering from UIUC and is also a patent agent registered with the US Patent Office. Credenz is PICT‘s annual technical event for students of Computer Engineering, Electronics & Telecommunication and Information Technology. It is one of the more popular collegiate tech fests that happen in various engineering colleges in the state. This year, they are trying something new. They are going online and free. There are a number of contests that are open for participants from all across the country. This includes paper presentation contest, business plan proposal, technical quiz, and programming contest. Prizes worth Rs.2.5 lacs (and counting), in cash and in kind will be distributed to all the event winners. In addition, there will be seminars and workshops that will be broadcast live online, including sessions on Silverlight, Azure, Android, Google Wave, Ethical Hacking, and more. The event is from 10:30am to 5pm on September 18th to 20th. You can register at http://credenz09.info/registration.asp. Detailed schedule and speaker profiles are available here: http://credenz09.info/sem_work.asp.